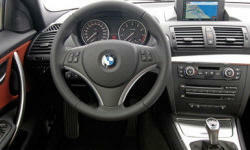 Why the 2012 BMW 1-Series? The inline 6 is a great engine. This is one of the last models to have a naturally aspirated version. It is smooth with good power, and I loved the sound. I had the m sport package. Great steering feel. Not too rough of a ride. I hate that so many cars these days have poor visibility and make you feel that you are seated deep inside them. I will not buy a car with poor visibility. So I was very happy with the visibility in the 128i. It has an upright windshield and cabin, so the visibility in all directions is good. 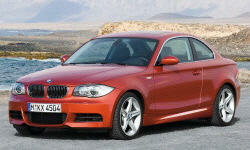 Why Not the 2012 BMW 1-Series? The run flat tires make the ride rougher than it needs to be. Others replaced them with non run flats and say the ride was improved. The 1 series coupe is kind of a unique car. It has a small but loyal following. I enjoyed driving the car every time I got out of the city. I would recommend these cars to others. I suspect that in certain configurations they will become somewhat hard to find and will hold their value well.